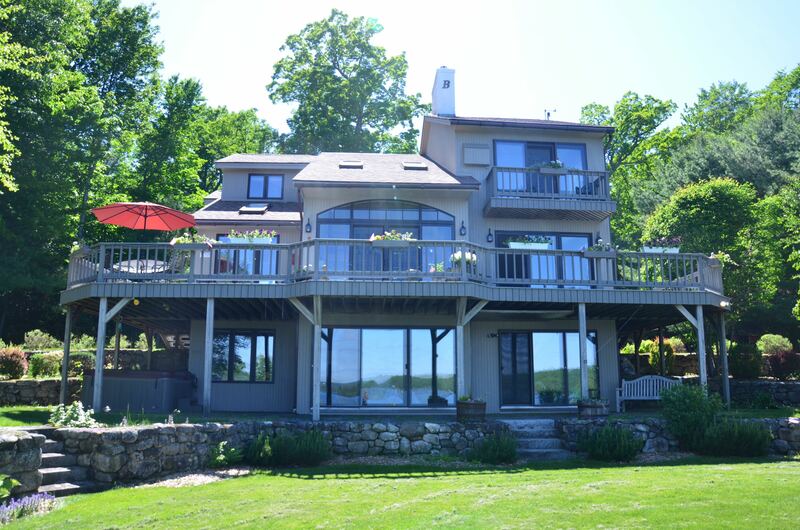 New Listing June 8, 2015 Elevates Lakeside Living with Exceptional Privacy and Views. 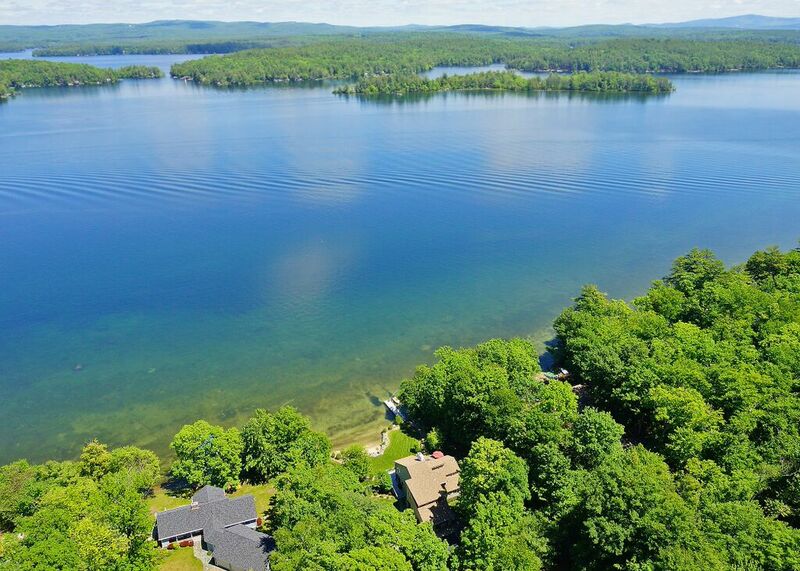 Ideal Winnipesaukee Setting at 131 Windermere Road Moultonborough NH. 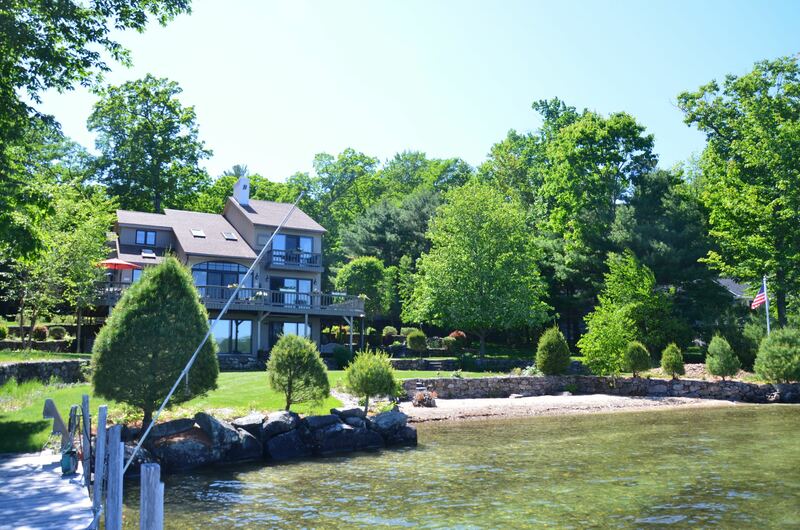 131 Windermere Road Offers Ideal Location for Boaters, Crystal Clear Waterfront, and More. 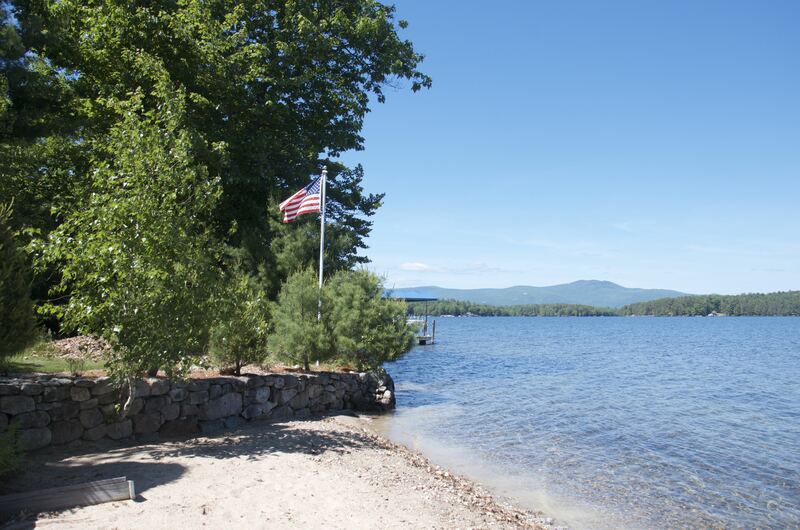 Lake location offers views and proximity to lakeside towns. 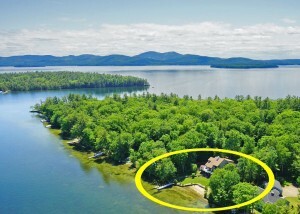 Privacy, Lake and Mountain Views, Superbly Private Sandy Beach. Moultonborough NH - So beguiling is the privacy, that you will rightly feel that here, you have found one of the most spectacular Lake Winnipesaukee parcels. 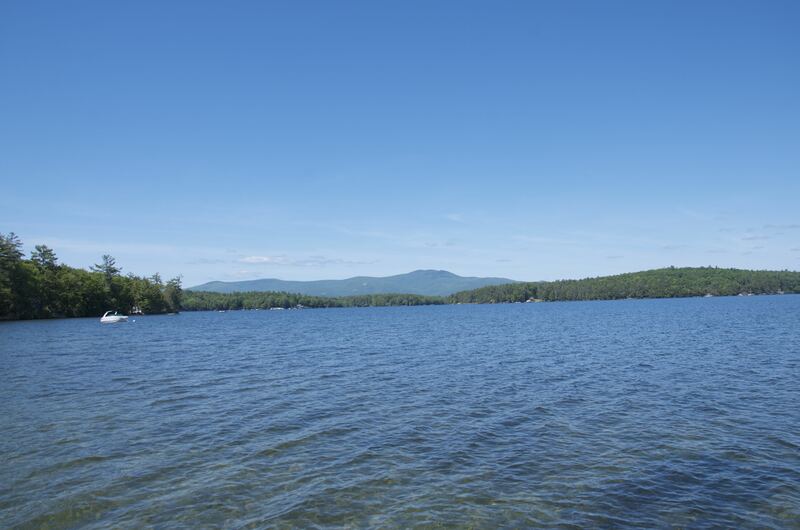 The stunning lake and mountain views will inspire you. 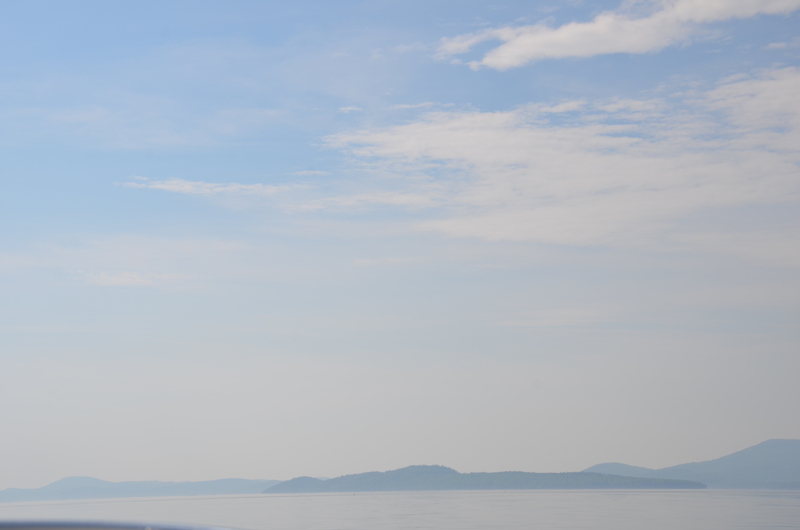 From the moment you enter the home, you'll see these exceptional views. From the living room, sliding glass doors open to the large deck with new composite decking. 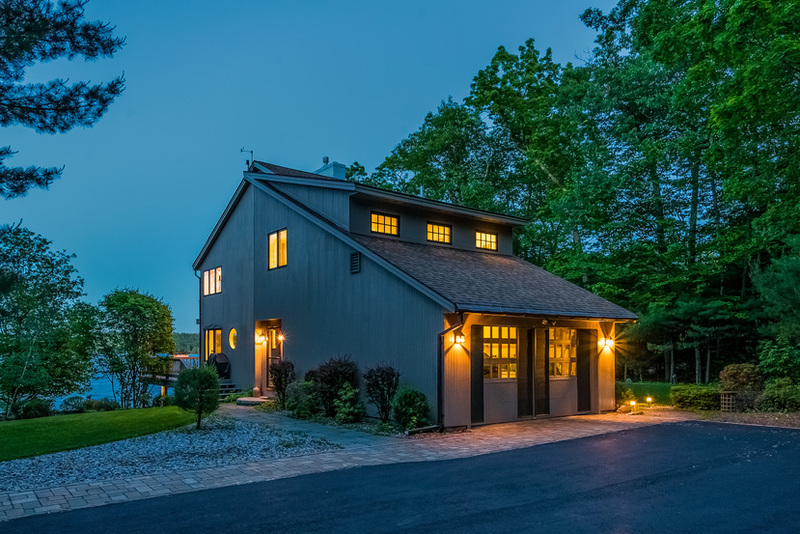 Because of the geography of the shoreline, you'll enjoy a generous amount of sun on this waterfront parcel on the Leeward side of Long Island. 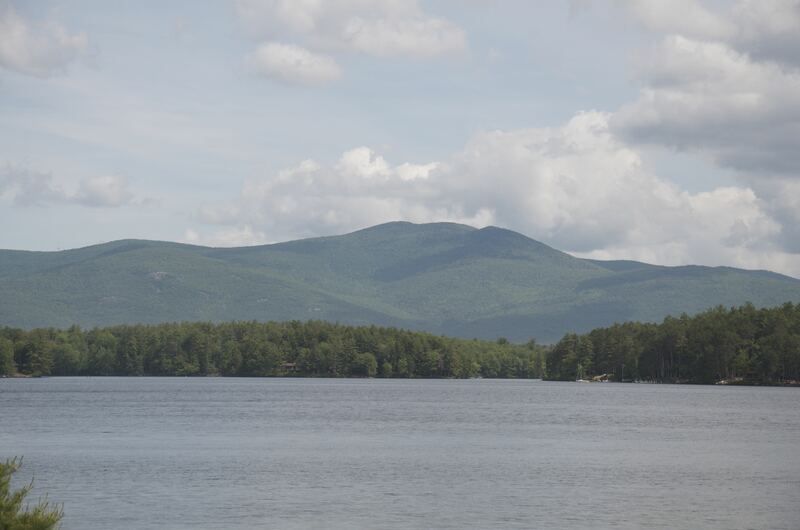 (Calm waters when much of the lake has 'white caps' is another great feature for those who enjoy swimming, kayaking, and water-skiing). 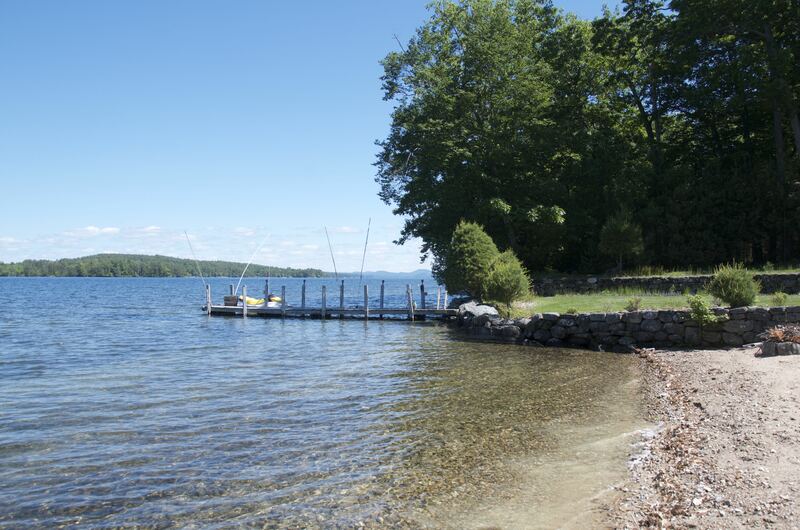 Your sandy beach, which curves in slightly and is completely level to the lake is a rare luxury. 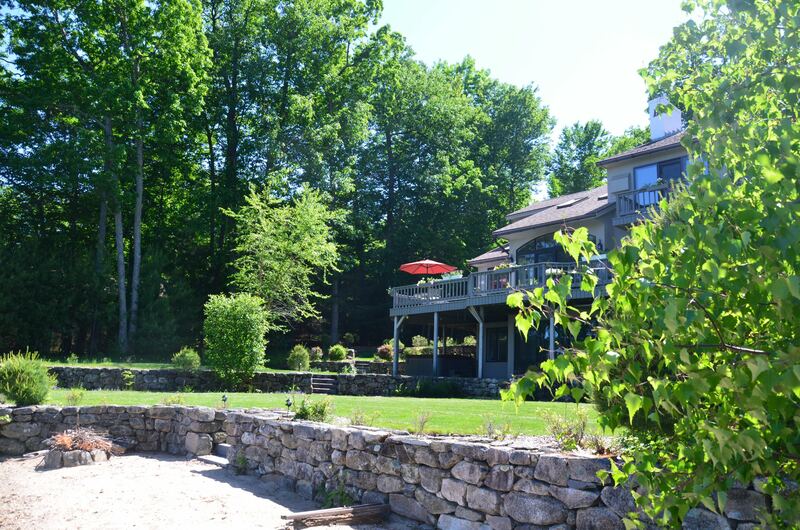 Stonewalls and walkways on the property create a park-like setting, yet there are enough trees punctuating the lawn to provide cool sitting areas on hot summer days. 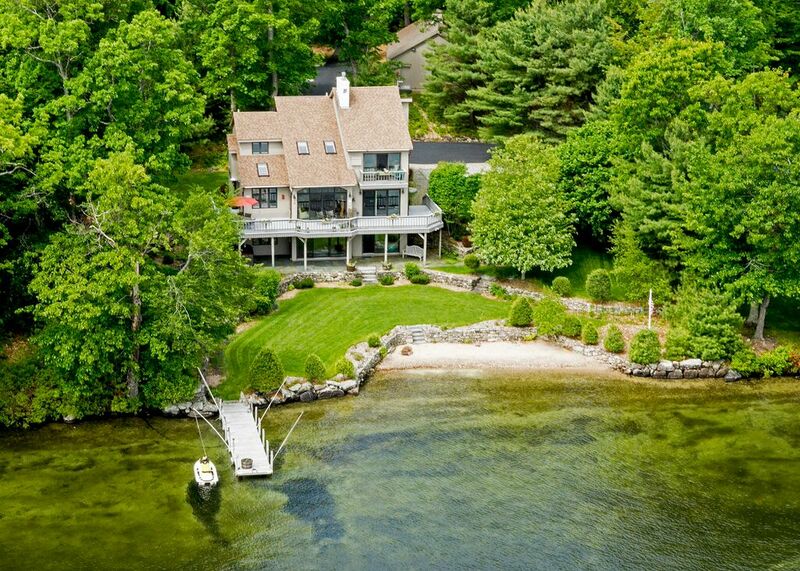 Relaxation is easy in this tranquil setting! 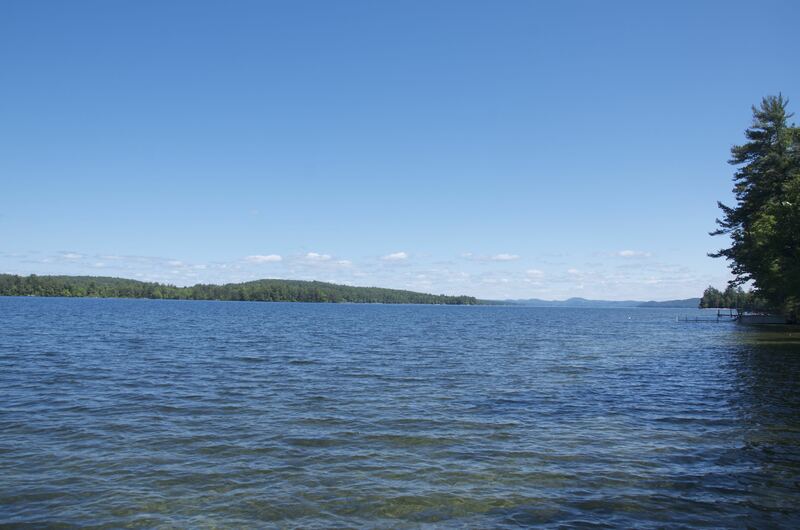 Wildlife in the area includes Bald Eagles, Loons, and Herons who also enjoy this exceptional privacy. 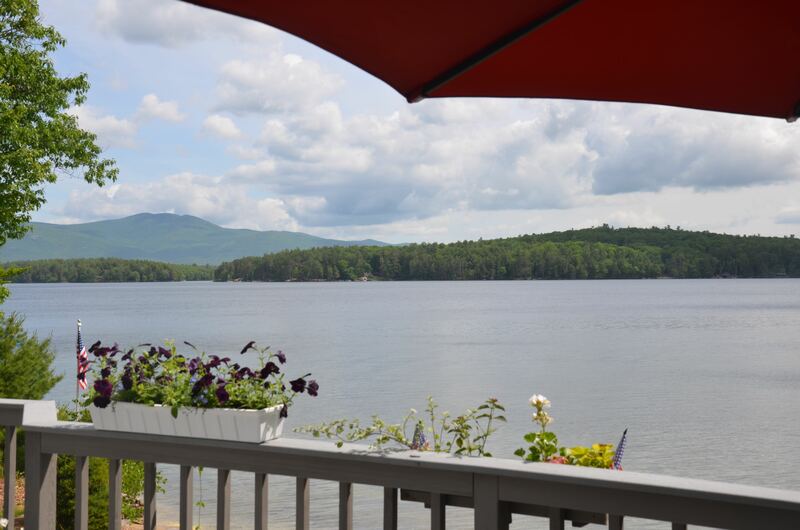 Day or evening this is one of the most beautiful neighborhoods on Winnipesaukee. 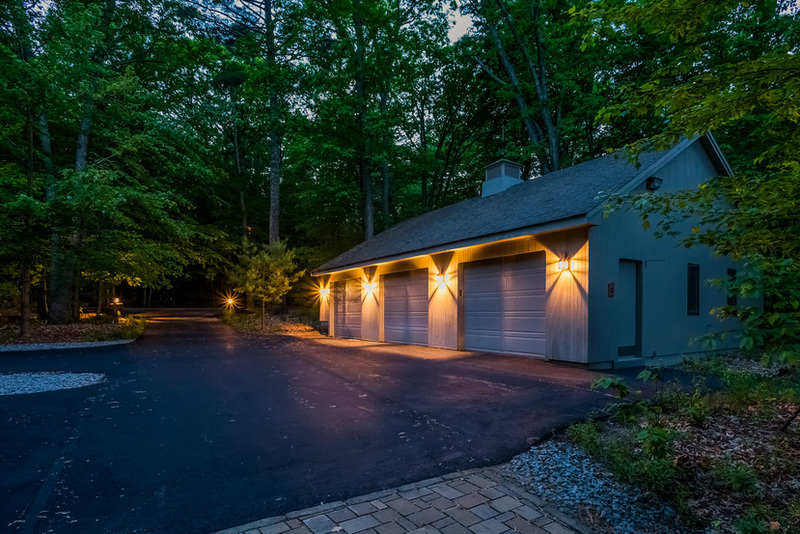 Ample Parking for You, Family, and Guests. A newly paved driveway with pervious pavers. 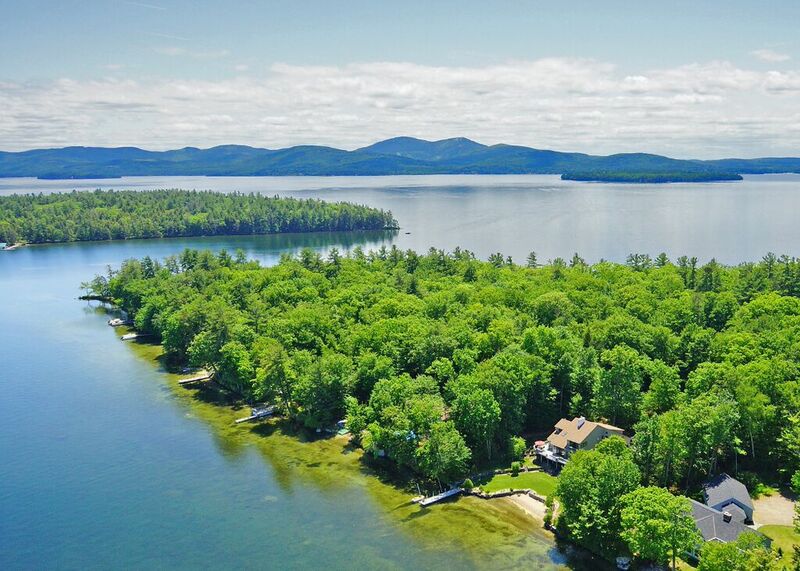 Whether you are playing on or near the waterfront, this home offers many of the features most sought-after by Winnipesaukee enthusiasts. A sunny lot also offers mature trees to provide shade on hot days. Recreational room w/ wet bar. 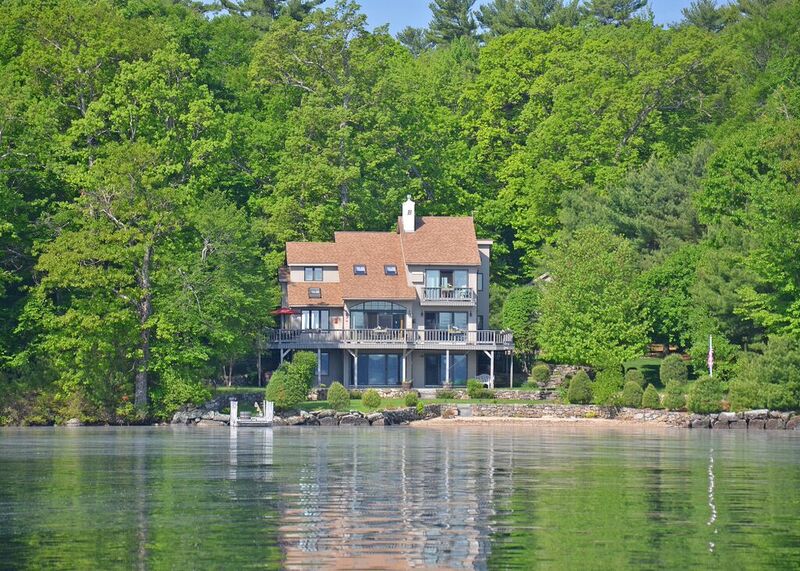 This Moultonborough Winnipesaukee waterfront home is offered at $1,595,000. Contact Nicole Watkins, Exclusive Listing Agent. for details, to request a color brochure, or to set up an appointment. 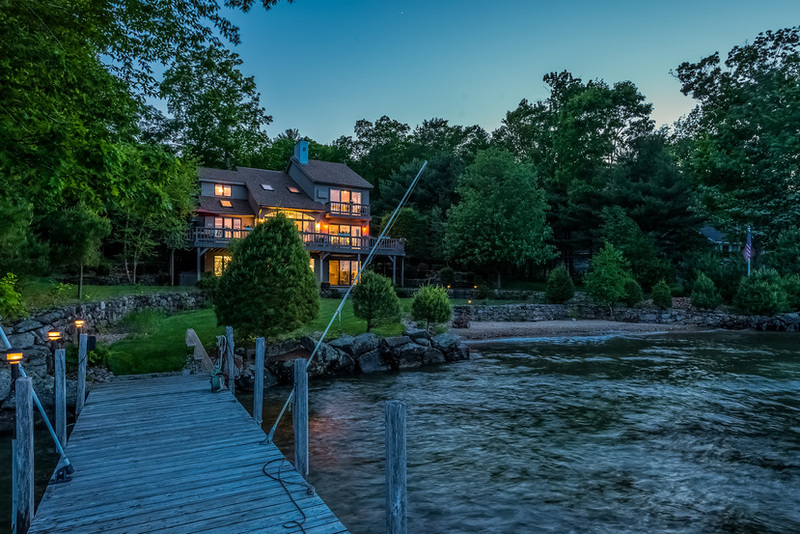 Please let me know if you'd like me to sign up here to be apprised of new listings, which fit your search criteria as they become available.